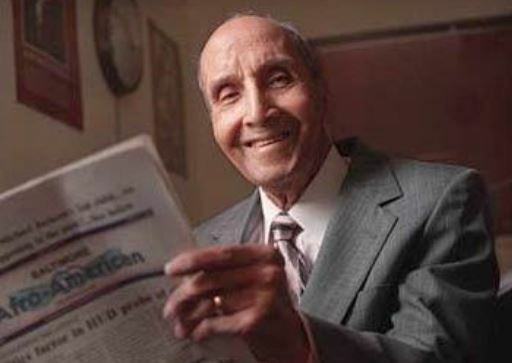 The legendary Afro-American Newspaper sports editor Sam Lacy was recently cited as an inspiration by some of the country’s leading sports figures. Retired Washington, D.C. area sportscaster Glenn Harris, former Georgetown University men’s basketball coach John Thompson, former Howard University soccer coach Lincoln Phillips, Washington Redskins running back Larry Brown, National Basketball Players Association executive director Michele Roberts and National Basketball Association Hall of Famer Earl “The Pearl” Monroe were honored at the 2016 Sports Task Force Sam Lacy Pioneer Awards. Baseball legend Frank Robinson was also honored but couldn’t attend the ceremony, which took place on Aug. 5 at the Washington Marriott Wardman Park Hotel in Washington, D.C. 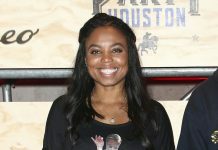 The sports task force, whose purpose is to promote African Americans in sports journalism, was founded in 1987 and it renamed the Pioneer Awards program after Lacy in 2003. Lacy worked 60 years at the AFRO, primarily in its Baltimore headquarters, and was a key player in the integration of Black players in Major League Baseball. Lacy also covered several Olympics and other high-profile events. In 1948, Lacy became the first Black sportswriter to become a member of the Baseball Writers Association of America and in 1998, he was selected to the writers’ and broadcasters’ wing of the Baseball Hall of Fame. Lacy mentored William Rhoden from February 1972 to August 1973 while the latter worked as an AFRO sportswriter and now Rhoden is a sports columnist with The New York Times. Lacy also advised former Washington Post sports journalists Michael Wilbon and David Aldridge, among others. In 1998, Lacy released his book, “Fighting for Fairness: The Life of Story of Hall of Fame Sportswriter Sam Lacy.” A copy of the book was given to each of the honorees. Lacy died in 2003 at the age of 99 but is still remembered as a guiding light for those in the sports industry. During his career at Georgetown, where he coached from 1972-1999, Thompson won 71 percent of his games, graduated 97 percent of his players who stayed four years, and took controversial stands such as fighting Proposition 42 which would have limited the number of athletic scholarships to African Americans, and blocked District drug kingpin Rayful Edmond from socializing with his players. “Lacy was the reason I do what I did,” Thompson said. Harris said that accepting an award with “Sam Lacy’s name on it” is one of the best things that have happened to him. He also praised Lacy for going out of his way for an interview. Aldridge, who received the National Association of Black Journalist Legacy Award for 2016 on Aug. 6, echoed what Thompson said about Lacy.